The other week I talked about which ships in the history of Star Trek were the finest created, crewed and flown. All well and good, but as a newly commissioned officer would there be a ship or class you just wouldn't want to get sent to? Unfortunately there appear to be a couple of very strong candidates for the title of "Starship I Would Not Want to Be Aboard" (long but adequate). First up - the Miranda Class. 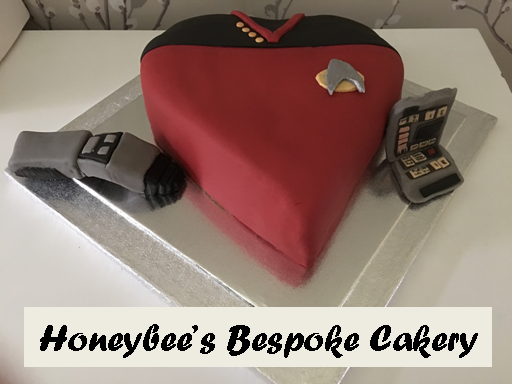 First seen in The Wrath of Khan initially commanded by Captain Terrell before being commandeered by a certain Khan Noonien Singh so that he could have a spot of vengeance on Admiral James T Kirk. Pretty much one of the legendary ships of the franchise because of the film, why does it get the first entry here? 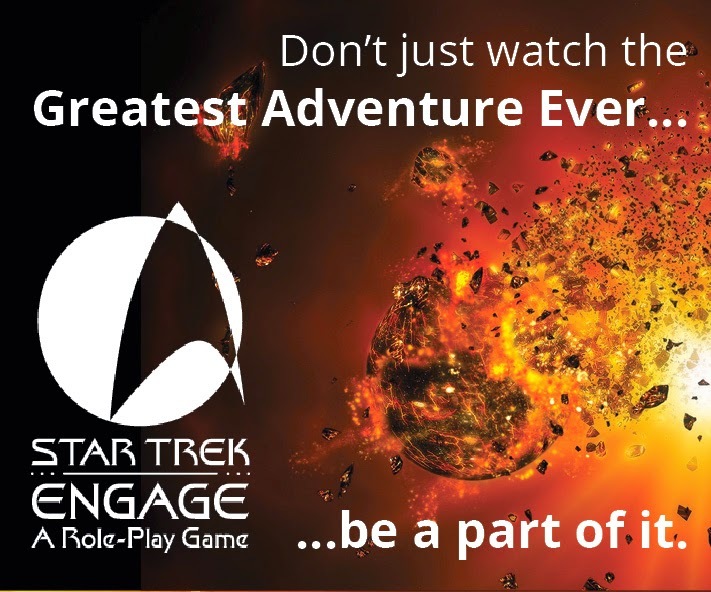 Well, let's look at the facts - you're sending out survey ships to unexplored regions of space and what do you send? lightly armed science vessels especially here in relation to a top secret project! Absolute genius. 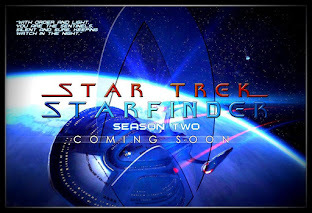 While it might reinforce the Federation's desire to expand its scientific and exploratory missions through less "threatening" craft than the "battle cruiser" style of the Constitution Class (so described in The Search for Spock by the Klingons). It does stand up well in battle against the larger Enterprise but eventually it does end up blasted apart and its molecules included in the formation of the Genesis Planet. Also it's a horrible design with all the essential systems on show all over the place - warp reactor is out at the back seemingly undefended and there's that huge shopping trolley handle replete with photon torpedo launcher sitting proud of the hull. I would suspect a terrible ship to wage a firefight from as defensibly it would be a nightmare. But that's not the end of it. The Miranda Class itself seems to be dogged with tragically bad luck. Take in point the USS Lantree, USS Brattain and the USS Saratoga. OK, so this indicates that there are a lot of these in service especially in The Next Generation universe and therefore must have been reliable, they tend to pop up in the worst situations. The Lantree was blown up following an outbreak of an aging disease in Unnatural Selection and the Brattain's crew all go insane when trapped in the Tyken's Rift featured in Night Terrors. Whatever way you dress them up, things just seem to happen to the Miranda Class. Even worse, if it's called the Saratoga I would suggest staying well away. Not only was it disabled by an alien probe in The Voyage Home but Ben Sisko lost his wife on a newer version of the same ship at the battle of Wolf 359 as seen in Emissary. 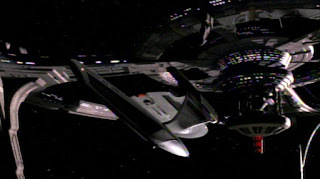 Numerous ships of this class are seen in the battle sequences throughout the latter seasons of Deep Space Nine and their size would no doubt be an advantage against the larger Dominion vessels. As we can also see through their various appearances there are many changes to the basic structure showing them as fairly adaptable - alteration/removal of the rollbar, addition of sensor pods and even substantial changes which led to a new class as seen as the USS Bozeman and the Soyuz Class. Still, it's original formation and purpose don't help its case as a ship to avoid. and some exterior changes as well as the internal differences that would occur during each ship's lifetime wouldn't make me want to take the chance of being posted to one of them. 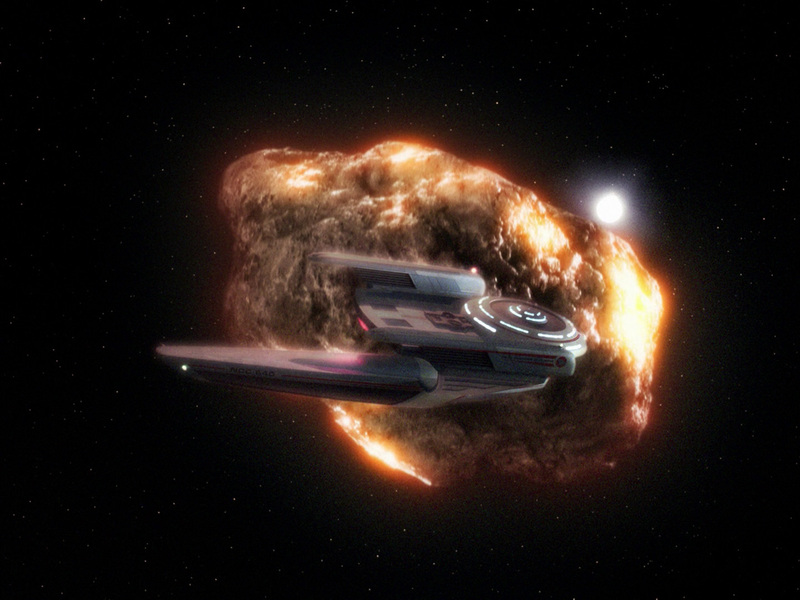 This also makes me think that Starfleet should consider sending more heavily armed ships into such previously unexplored reaches or use more suitable vessels for experimental missions - or you could ignore all of that and send one of the Oberth Class. 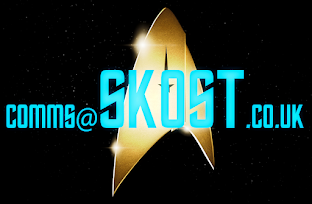 What Starfleet was thinking when they allowed this design into service is beyond comprehension. Now I don't have beef with the concept here. Science vessels would be essential to the whole seeking out new life and new civilisations goal of the Federation although they don't seem to be expected to have to look after themselves. At first glance it's a small, sleek science vessel useful for pottering about the universe but it's got to the dogged with the worst luck and design ever. Surely it could've done with some better shields, some more weapons and half a chance? Then there's the design. 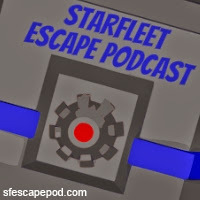 For starters, how do you get from the primary hull to the secondary hull apart from using the transporter or climbing down ladders in the warp nacelle pylons? Granted it's not very big, it would still give you a good workout a few times a day. These are great little ships but in uncharted territory you'd be absolutely stuffed and not stand a chance - case in point being The Search for Spock (above). I'm still not convinced of the logic of sending a tiny little science vessel to the most publicised and quarantined planet in the galaxy. Nor are they suitable or powerful enough to go up against the Borg but still Starfleet managed to get at least one as part of the 40 ship armada at Wolf 359 as featured in Emissary.Of course it looks good that you're not going in heavily armed but these guys really are cannon fodder when it comes to facing an unstoppable cube. But that's not what makes them a risk on your life insurance. As with the Miranda Class they made it into the 24th Century however even from the start of The Next Generation they're in trouble. The Tsiolkovsky gets the blunt end of an asteroid in The Naked Now after the crew of the Enterprise contract the Psi 200 virus from the ship. Surely these craft would be outfitted with more specialist science equipment than a Galaxy Class just in case something gets brought on board? The SS Vico and the USS Yosemite also encountered some seriously bad luck as featured in Hero Worship and Realm of Fear respectively. Both ended up adrift following mysterious circumstances. If I was on the Enterprise by this point you'd be concerned if one turned up as to what might happen. In fact surely when Admiral Pressman comes on board in The Pegasus, Picard's first question should have been "What class of ship are we dealing with here?" which would have promptly been followed either by a facepalm of galactic proportions or an about turn and back to base. It does go to show that these ships were seen as something of a test bed, probably due to their original scientific purpose. 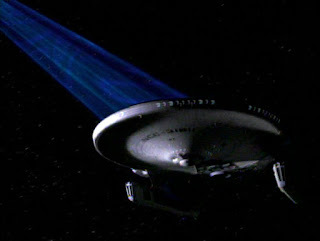 There is however one redeeming gem of the Oberth Class - make sure you got posted to the USS Cochrane. 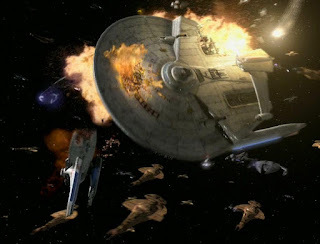 While every Miranda Class ship we meet ends up worse off, the Cochrane gets four mentions at various points in The Next Generation and Deep Space Nine with two of those being physical onscreen appearances. That's good going but proves the exception to the rule! So the lesson is pretty much reinforced - and science vessels in general aren't a good thing to be on in the Star Trek universe full stop. 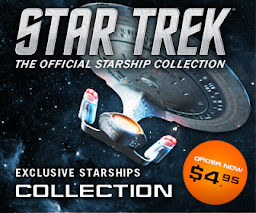 For further examples I would direct you towards (firstly) Voyager and the USS Raven that carried the Hansen family into the clutches of the Borg. Probably a good thing to get into command, engineering or security if you ask me and avoid the lure of a career in the sciences. 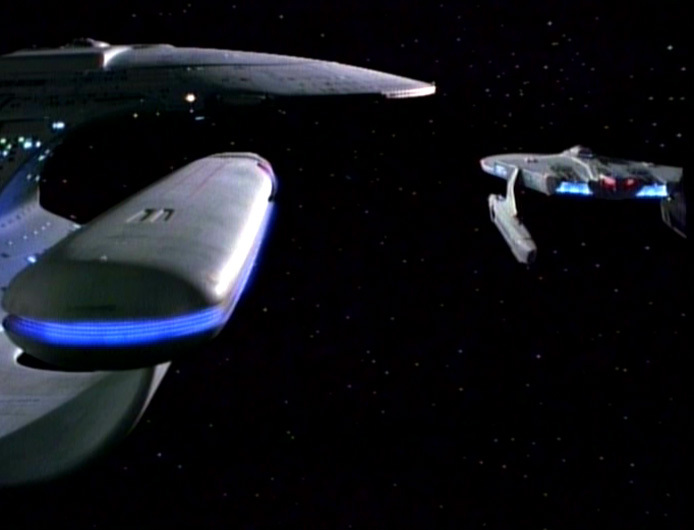 Have I even managed to squeeze in a mention that families were also included on missions on all three of these classes of ship at some point (Timothy in Hero Worship) and had them on board during the Borg attack at Wolf 359 (Jake Sisko)? While we can say that the reason these ships show up so often is for budgetary reasons and the ease of reusing miniatures, I'm hoping that you can see my point here! After a while surely someone would comment about their safety record?! 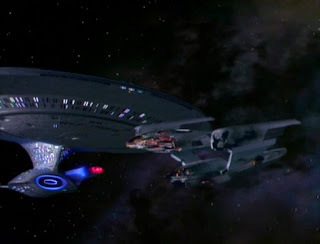 So would you say that these are the two most fated classes of ship in Star Trek or are there some that have an even worse story to tell? Is it the Raven or something else?